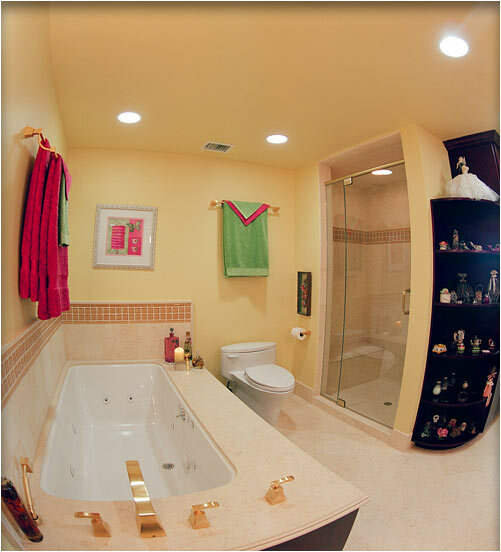 Larger Project 8-4, Master Bath » Roger Perron Inc. Here is the other side of the master bath. The tub is the 6′ x 36″ Caribbean by Kohler, undermounted below the granite tub deck with a whirlpool system. The natural stone and glass tiles make for an interesting tub surround. The shower has a built-in seat and shampoo recess.